Pinochia 2 cups gran. 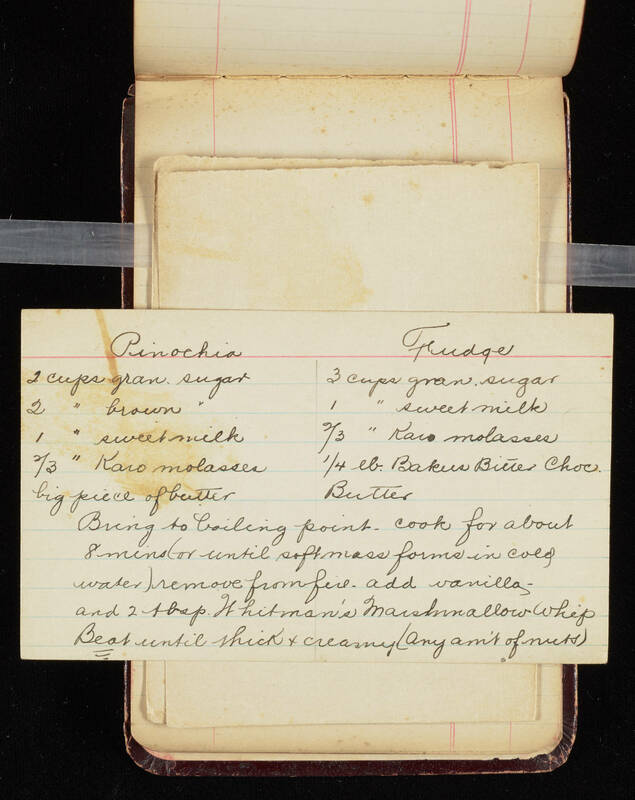 sugar 2 "brown 1 "sweet milk 2/3 " Karo molasses big piece of butter Fudge 3 cups gran. sugar 1 "sweet milk 2/3 " Karo molasses 1/4 lb Bakers Biller Choc. Butter Bring to boiling point. Cook for about 8 mins (or until soft mass forms in cold water) remove from fire. Add vanilla and 2 tbsp. Whitman's marshmallow whip. Beat until thick + creamy (any am't of nuts).